Tempe, Ariz. [27 March, 2017] — Artesyn Embedded Technologies today launched a new configurable intelligent high power system, the iHP series, designed for a wide range of medical and industrial applications. The new modular power system provides accuracy, resolution and stability as either a programmable voltage or current source. It provides up to 24 kW in 3 kW increments and can be configured for up to eight outputs using a wide variety of plug-in modules that address a large range of voltages and currents. Safety approvals secured by Artesyn eliminate the need for an isolation transformer in medical equipment. The iHP power system also has industrial safety approvals and meets the SEMI F47 voltage sag tolerance standard for semiconductor processing equipment. The Artesyn iHP power system is being showcased at APEC in Tampa, Florida, between March 26th and 30th, on the PMBus® booth (1832). The iHP power system offers developers either an analog or digital interface to their system, supporting standard communications protocols, including CANbus, Ethernet and RS485. Digital control enables the use of Artesyn’s high level PowerPro software graphical user interface (GUI) to control and monitor all functions on one or multiple iHP systems. The PowerPro GUI also incorporates graphical script creation that allows users to write their own process control routines. The iHP power system offers efficient power factor correction (PFC) and low total harmonic distortion (THD) over a wide range of loads. It uses a multi-phase continuous mode boost PFC architecture, resulting in ripple current cancellation that offers lower EMI and extends the life of electrolytic capacitors. The user can configure the iHP system for single- or three-phase input. Users can configure the outputs as voltage or current sources and customize them to their exact applications requirements from a range of standard modules provided by Artesyn. These modules can be connected in series or parallel, while achieving accurate voltage and current sharing. For specific types of loads and applications, the iHP series can be programmed to three different compensation configurations including resistive load, capacitive load and LED load. The LED load compensation opens up new applications for large horticulture farms that require high voltage for series LED strings. Artesyn Embedded Technologies is a global leader in the design and manufacture of highly reliable power conversion and embedded computing solutions for a wide range of industries including communications, computing, medical, military, aerospace and industrial. 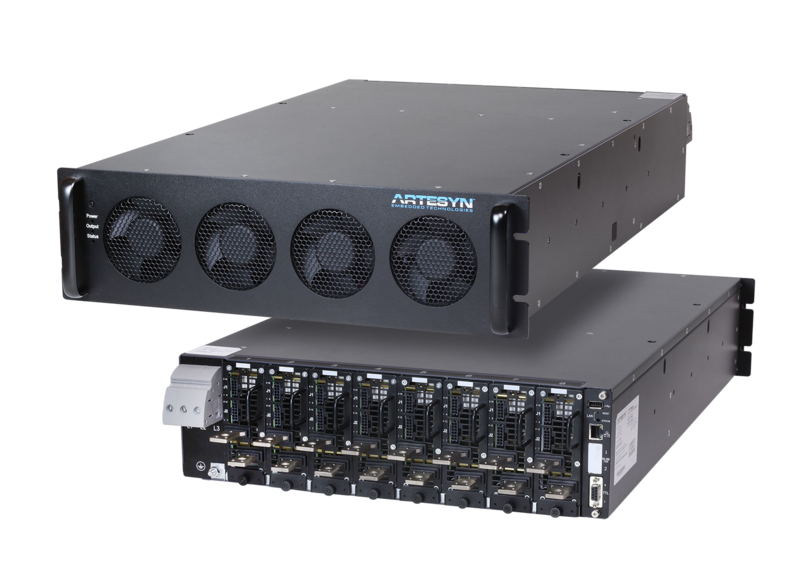 For more than 40 years, customers have trusted Artesyn to help them accelerate time-to-market and reduce risk with cost-effective advanced network computing and power conversion solutions. Artesyn has over 20,000 employees worldwide across ten engineering centers of excellence, four world-class manufacturing facilities, and global sales and support offices. Artesyn Embedded Technologies, Artesyn and the Artesyn Embedded Technologies logo are trademarks and service marks of Artesyn Embedded Technologies, Inc. All other names and logos referred to are trade names, trademarks, or registered trademarks of their respective owners. © 2017 Artesyn Embedded Technologies, Inc. All rights reserved. For full legal terms and conditions, please visit www.artesyn.com/legal.